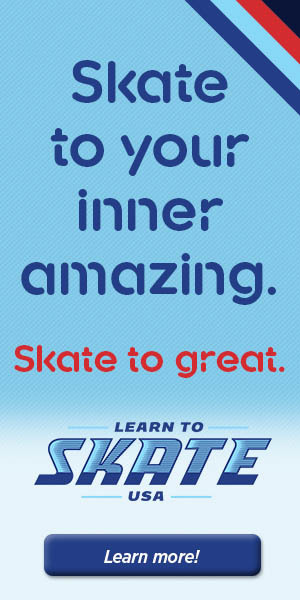 Learn to Skate USA is where it all begins. Online registration for the Spring 2019 Learn to Skate Session is now Open! Please fill out the form below and submit. Please note if registering multiple skaters a new form must be filled out for each skater. All registrations after the first week of class will be pro-rated. Skate Rental: If you don’t have your own skates you can rent them from the ICE Arena for $1.00 per class. Class Fees may be paid by cash, check (payable to MPFSC), or credit/debit cards or paid online. Please note credit/debit transactions are subject to a $4 convenience fee. Fees must be paid on or before the first night of class. For more details on the Learn to Skate Program and classes offered please click here. Once your online registration has been submitted you will receive an email to the address you provided within 48 – 72 hours confirming your registration and your total due. If you select to pay via online invoice you will receive that in a separate email. Skaters who have been selected into the Bridge Program should also register via the form below, just select “Bridge” for program. Bridge costs will differ from those listed above. For more information on the Bridge program click here. Questions about online registration or what level you should sign your skater up for? Email us at MtPleasantFSC@gmail.com.